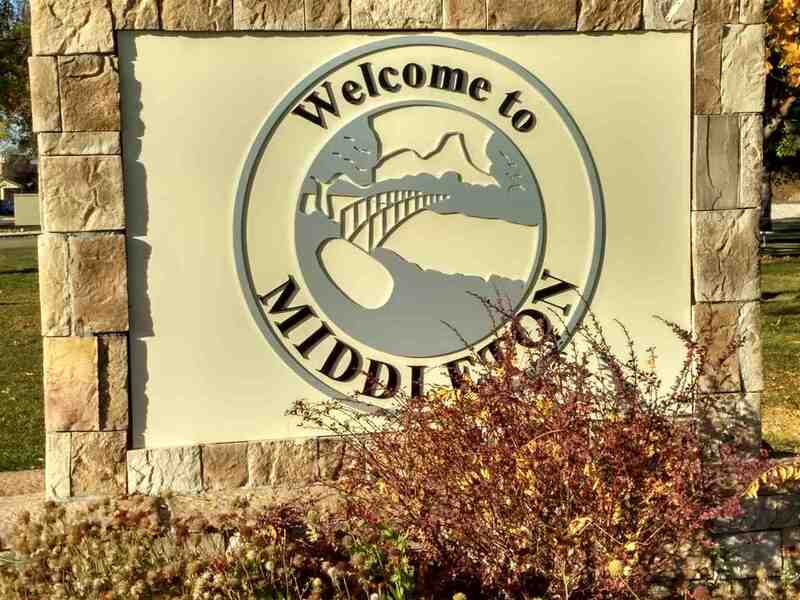 All Middleton homes currently listed for sale in Middleton as of 04/21/2019 are shown below. You can change the search criteria at any time by pressing the 'Change Search' button below. If you have any questions or you would like more information about any Middleton homes for sale or other Middleton real estate, please contact us and one of our knowledgeable Middleton REALTORS® would be pleased to assist you. "51.43 beautiful acres with views of the mountains and live stream in Middleton with two homes and a large shop. Ready to be developed or keep it for yourself. Each house is 3 Bed/1 Bath/1745 SF/2 Car garages. Currently in Canyon County, if developed County would prefer annexation into city. Currently zoned AG but slated for residential. No CCR's, No HOA in place." 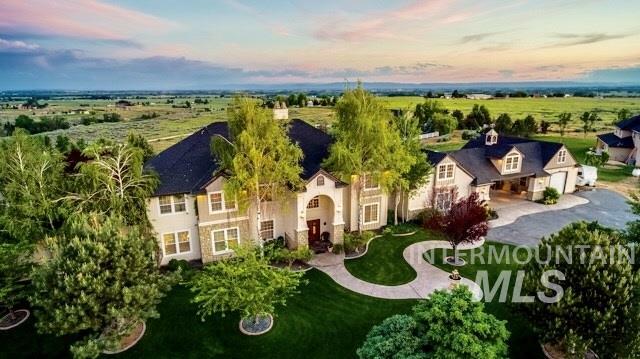 "Idaho Country Living on this magnificent 9028 square feet Estate set on 3.76 acres with 360 degree unobstructed views ! Every detail in this spectacular residence has been sketched with skill and finesse featuring custom alderwood throughout, marble counters, family rec room with a full size wet bar, intercom, trophy room that could serve as a multitude of possibilities with wood/gas fireplace. Main level mstr ste with dble sided fireplace opens to the beautiful back patio with a hot tub." 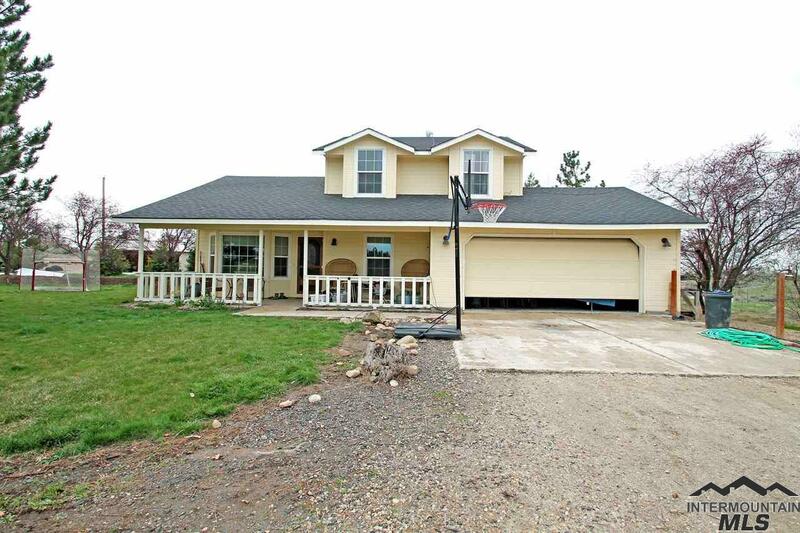 "Gorgeous spacious country home on 1/2 acre close to the Purple Sage Golf Course(North of Middleton). Each room has upgraded materials, lots of windows, 2 fireplaces. Gourmet kitchen sports newer quartz counters, appliances & Five Star professional stove/range and a HUGE pantry. Newer carpets throughout & water heater. All 5 bdrm have walk-in closets. Huge recreation room, French doors lead to upper veranda. Beautiful grounds w/wrap around porch. Close to freeway. Middleton schools." "Beautiful To be Built Home by Shiloh Builders on a peaceful & Quiet 1.6 acre home site w/amazing views. Open floor plan w/11' ceilings and floor to ceiling fire place in the great room, Huge kitchen island w/Quartz counter tops, many large windows to let the views in. Tile and hardwood finishes throughout. Jr. Master suite. Large covered outdoor living area w/ large extended patio. 1476 sqft garage that includes a 40x20 RV bay. 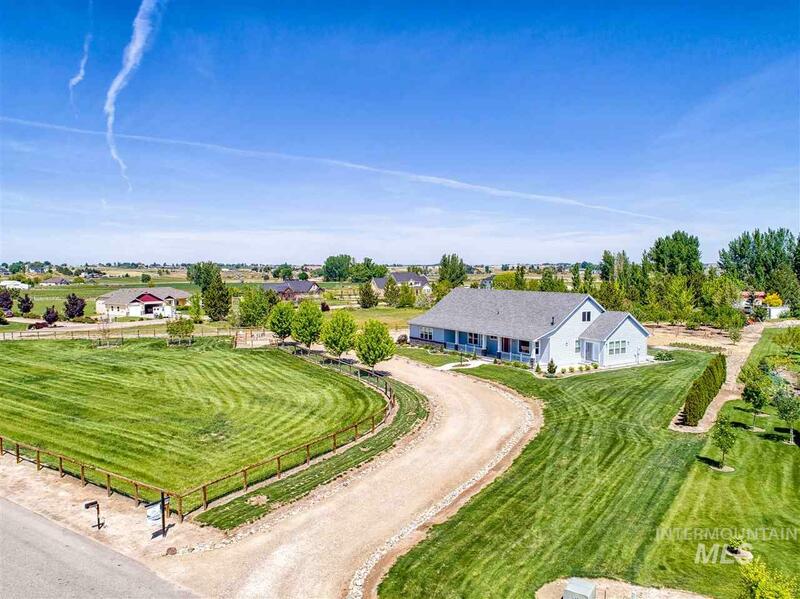 Lot has room to add mother-in law quarters or bring your horses! Pho"
"Custom home on a large lot with upgrades that are standard for the Builder. Country setting yet not far from all the city amenities. Still time to pick your colors or make adjustments. Come and build your dream home. Taxes are for the whole subdivision. 2018 Taxes are for full subdivision. Owner will carry. :)"
"Lakefront Single Level former Parade Home between Middleton and Star with RV garage on almost a half acre NOW AVAILABLE! Immaculate condition inside and out with so many extras located in The Lakes estate subdivision with community pool and walking paths. Home includes covered north facing porch, 45ft RV garage, 1438 sq. ft. garage with free standing gas heater, metal fencing, beach, granite island, and stainless Bosch appliances including Refrigerator! Fish from HOME or surf the high speed in"
"Endless possibilities! You'll enjoy watching your horses, chickens, and/or cows from the front porch. Home with 660sf bonus room that could be used as a separate living quarters. 768sf unfinished attic. 1410sf of garage space that includes a half bath and plenty of work space. Handicap accessible halls and doors. 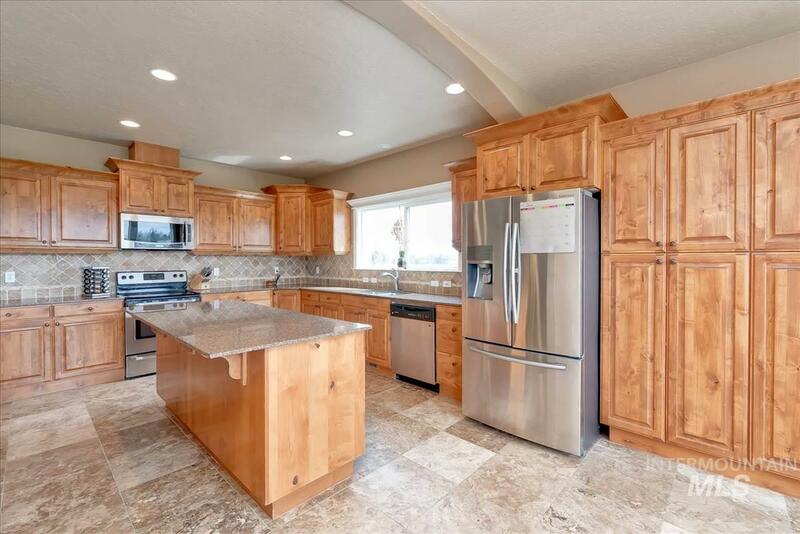 Great, expansive kitchen with granite and quality cabinetry. Open concept floor plan great for entertaining. Plenty of space to garden or build a shop. Check out the 360 tour!" "Excellence in every detail-Better than new! Expertly placed landscaping lines the entire 1.05 acre property creating ultimate privacy & luxury. Dark hardwood floors & cabinetry create a warm & comforting feel in the open concept living space. The large, granite island compliments the gourmet kitchen, complete with built-in dual ovens. The spacious living room with gas & stone fireplace is visible from the office space with french doors. Master with en suite boasts plenty of closet space & hardwo"
"5 Bedrooms + Office, 3.5 Bathrooms, Bonus Room, & additional Rec Room. 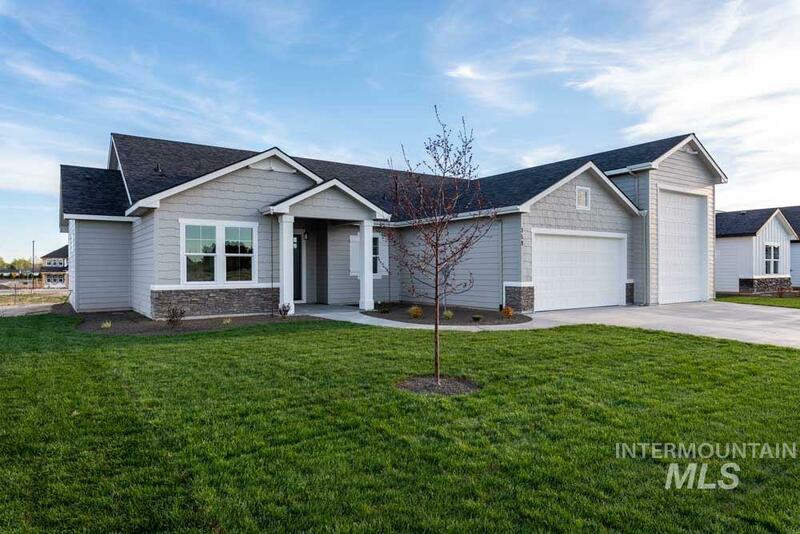 Nothing was left untouched in this 3694 Sq Ft beauty featuring Tile Showers & Floors, Jetted Tubs, Knotty Alder Cabinets, Granite Surfaces, 2 Fireplaces, Central Vac, 2nd Story Deck + Expanded Concrete Patio below. 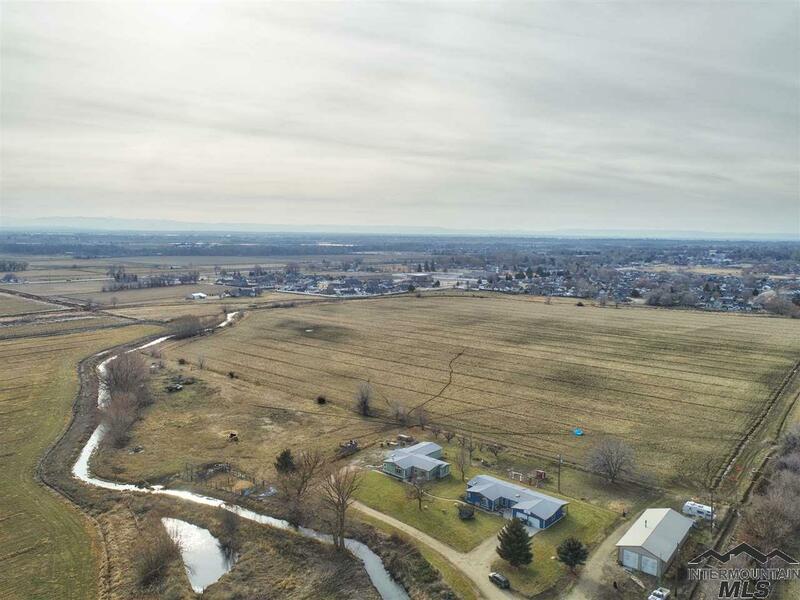 Owner purchased the .2 acre lot backing to the farm behind him, this separate parcel allows you to live your Middleton dreams of Chickens, Goats, Etc. Oversized 3 Car Garage and true RV Parking w/concrete slab and "
"Another beautiful modern home by Mendiola. 3 Bedrooms and an Office. Custom cabinetry and tile throughout. LVP flooring in main areas. Designer lighting with accent lighting as well. Huge pantry adjoins the kitchen with custom cabinetry. Huge RV garage (1690 SF), with a 14 Ft. high door and 49 ft. interior length. Lot is .32/Acre. Large covered patio for entertaining. Small, quiet neighborhood. A must see! Full sod and sprinklers will be installed as soon as weather permits and is incl"
"A stunning, open floor plan that is sure to please. Amenities radiate throughout this spacious home that include: a gourmet kitchen that features granite, upgraded cabinets, double ovens, and built in range. Laminate flooring extends to the master bedroom where you'll enjoy a serene retreat that includes a stone fireplace and plenty of space to relax. All this on just under a half acre in one of Middleton's most popular communities that boast a pool, gym and clubhouse. Dual zone A/C. Check out "
"Beautiful Heinz Built Home. Large separate spaces for everyone to have privacy and comfort. Main floor Master and a second Master with private bath on the main floor. Great room on the Main, and a Family Room upstairs with the additional 2 bedrooms and a bath. Granite counters in kitchen and all baths. Laminate/Wood look flooring through main spaces and halls. Walk in pantry. Large north facing back yard with no neighbors. 3.5 Baths, 4 Bedrooms - .36/acre! Lots of beautiful trimwork - "
"Desirable single level home in the beautiful West Highland Estates! Open living area with both formal dining and eating space. Office off of entrance. Gourmet kitchen featuring granite counters, double oven, modern white & timeless dark wood cabinets and large center island. Master suite includes his/hers vanities and soaker tub & separate shower. Relax under the custom covered patio, enjoy the garden area, spacious lot size and two separate RV hookups." "Beautiful home on large lot built by Coleman Homes (The Harrington), featuring granite kitchen counters, breakfast bar, 4 beds, 2.5 baths, vaulted ceiling in master bed, dual zone HVAC, ex. large insulated 3-car garage (sink in garage), RV Parking (approx 75') and relaxing front porch. Lovely backyard includes Garden boxes with drip system, fruit trees, built-in fire pit and large covered patio. Lots of space & storage. Plumbed for water softener. Community pool and gym. Close to schools." "Tradition Building Company is known for quality and style! 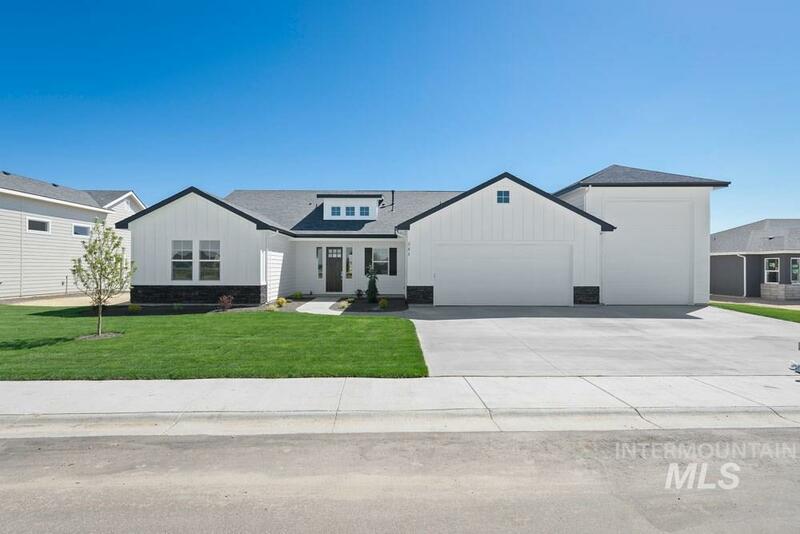 This modern Farmhouse is in the new Traditions Sub. Pictures reflect the details and finishes similar to those to be used in the home. Walk in pantry adjacent to the kitchen with it's large island and prep. areas. Beautiful Master suite with walk in shower. Granite and tile throughout. The attached 40' RV garage is the place for all of the toys! Finished 4/15/2019 - Don't miss this one"
"If you like homes with a Country Feel, this is for you. Small subdivision and wide spaces between homes. The style and quality from Tradition Homes will provide you with years of memories. Upgrades are standard with Tradition. Granite, tile, wood/laminate flooring for ease of upkeep. Large work spaces on kitchen counters and island, and an adjoining pantry. Large garage includes a 40' RV Bay for camper, boat or just extra toys!" "True Country home! Bring your horses to the 5-12x12 stall barn w/auto water/tack & feed area ++ 200x126 arena. This home can shine w/your personal touches - open floor plan, country kitchen w/wood burning stove open to covered deck. Large living/family room. Main floor bedroom w/large closet would make an excellent office. New Roof and furnace w/in the past 5 years." "Charming custom home on 1/3 acre lot in quiet subdivision. Minutes to schools, shopping and freeway. Upgrades and extras galore! 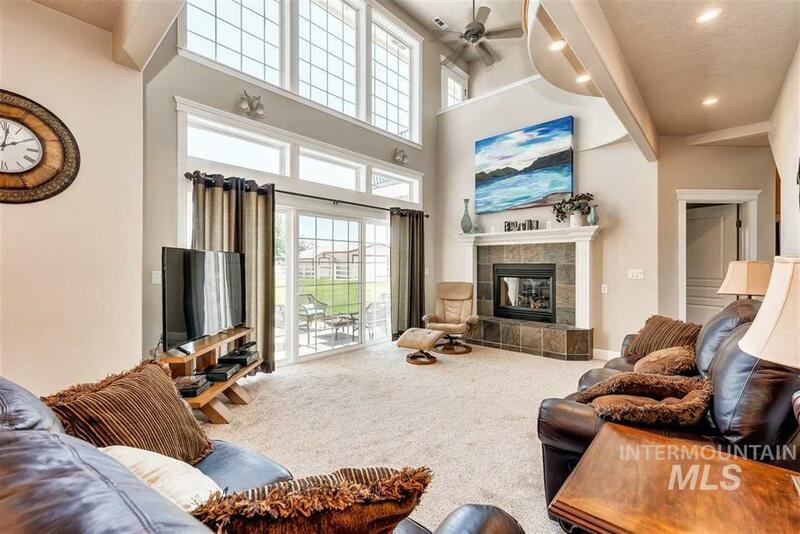 Bright and spacious great room with gas fireplace, built-ins and gourmet kitchen. Open concept split bedroom floor plan. Beautiful builder details make this home what it is, including coffered ceilings and detailed trim. Separate work shop in garage. Tons of storage space inside and out. Huge RV pad for parking all your toys, along with a shed and garden area with drip"
"Beautiful 4 bedroom, 2 bath single story home in West Highlands. Built by Coleman Home in 2018. Practically new, only used as owner's 2nd home. 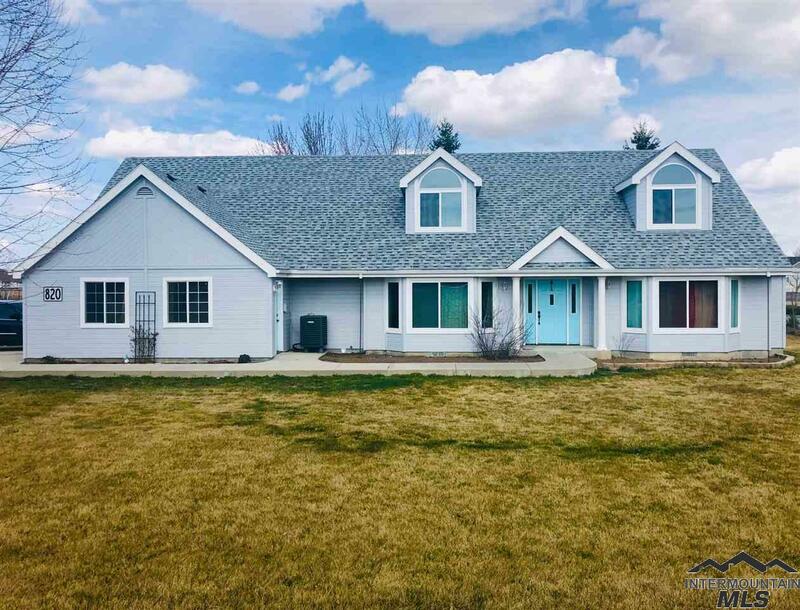 Upgrades include: gas cooktop, wall oven, farmhouse sink, 10x20 covered patio, huge walk-in shower in master bath, quartz counter tops, insulated 3 car garage, under counter lights in kitchen, gas line for BBQ, holiday lighting package." "Single level 4 bedroom, 2.5 bath home under construction on this nice .27 acre corner lot. You will have room for your toys. Completion date 5/30/19. Make offer if you want to pick your colors, flooring and counter tops. Builder is easy to work with and can meet your needs for an energy efficient custom home. Nice quiet subdivision with dead end street. Other lots available in the subdivision. Large Tax Credit for Buyer under contract prior to Occupancy Permit due to Builder's installation"
"Well-kept & situated in a premium location adjacent to the community pool, park, clubhouse & weight room! 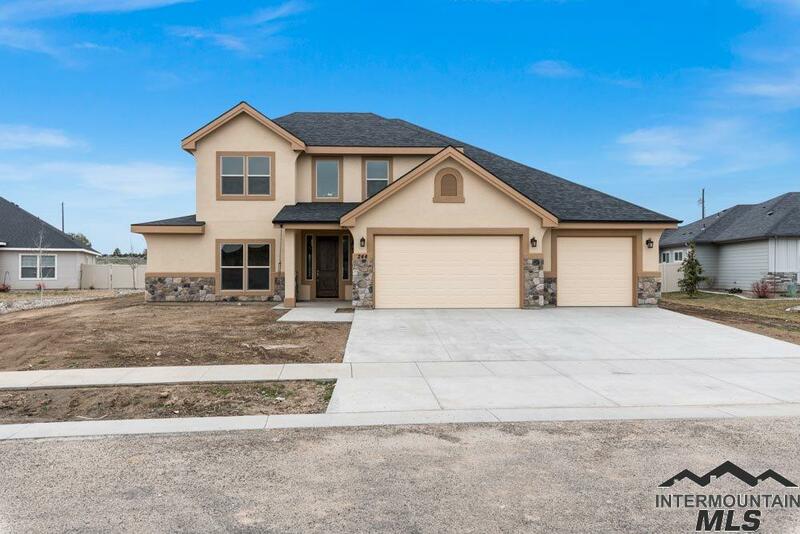 Interior features include hardwood flooring, elevated ceilings, neutral paint colors, plenty of storage space, large bedrooms & 3 separate living areas which include both living & family rooms along with an upstairs loft. 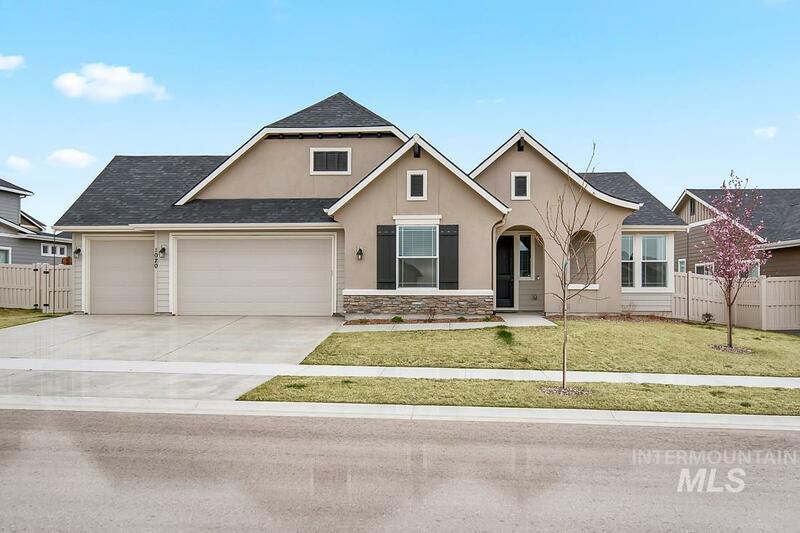 The spacious kitchen holds a gas range with dual ovens, middle island, recessed lighting, a tile back splash & pantry while the large master retreat holds vaulted ceilings,"
"Spacious Home with lots of room to roam. Cathedral ceilings in family rm. Nice big kitchen w/refurbished cabinets, fresh paint inside & out, new roof, new windows & new flooring through out. Lots of Storage space upstairs behind bdrms 38x7 & plus over garage. 34x34 shop, big concrete patio & room for RV parking. You have the elementary & jr high with in walking distance, plus new charter school just down the road. This home has so much space you have to see it to believe it." "This stunning home w/RV parking, pull thru 3rd bay, .47 acer lot & covered front porch. Boasting a family & living room, laminate wood flooring, half bath on the main level & large loft area upstairs. Kitchen w/an island, crown molding cabinetry, tile back splash & a large walk in pantry. All but one bedrooms feature a walk in closet. Master is extra spacious with ceiling fan, walk in closet & tile shower. The back yard is a stunner, w/a play area, fully landscaped, covered patio, fire pit & she"
"ONE OWNER HOME!! This well taken care of home is sure to be a buyers dream! 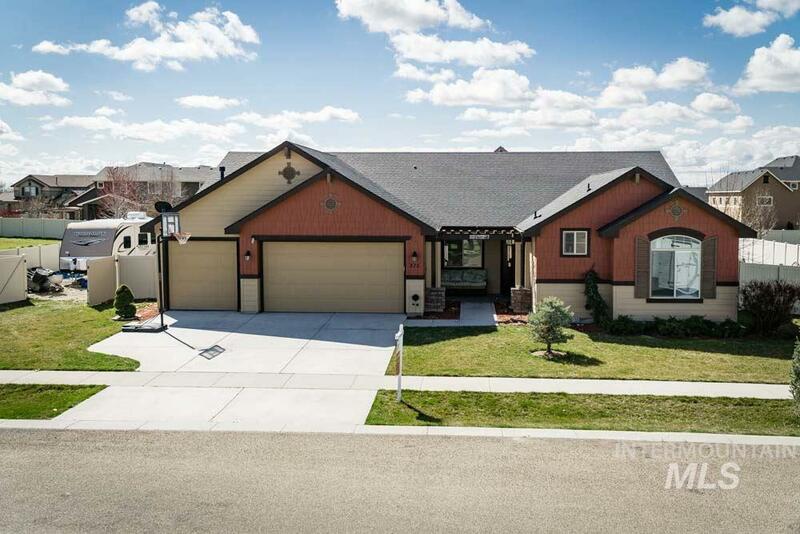 With over 3500sqft, this 3+ bdrm home has room for everyone. Open kitchen/living room for those who love to interact with all, great for entertaining! Upstairs you'll find all bedrooms, including the rec room that could easily be converted to a 4th bedroom! Huge bonus upstairs for movie night, or nice playroom. True RV parking with room for even more toys, and a nice big shed for all your outdoor needs.This home wont las"